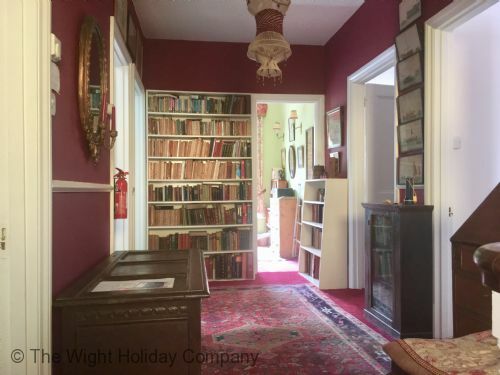 4 Madeira House is a traditionally furnished self catering apartment in the heart of Seaview on the Isle of Wight. Located on the top floor of the building the apartment benefits from sea views over the roof tops from the dining room as well as the living room that has doors that lead out on to the roof terrace. Parking is available on the street and within a minutes' walk there is a car park offering free parking between November – May. This property is pet friendly. Albion House Top Floor Apartment in Seaview on the Isle of Wight is the perfect self catering holiday apartment with the beach right on its doorstep. 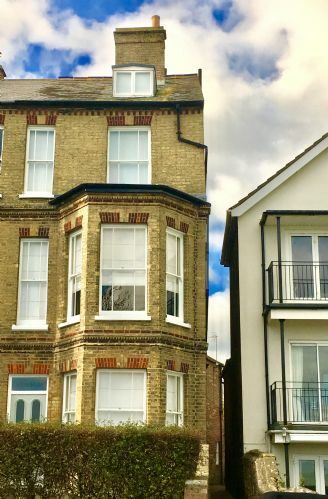 Providing sea views from every room in the apartment and being located on the lower end of the High Street this holiday accommodation is the place to stay in Seaview. With the living accommodation set over 2 floors, it offers 2 bedrooms providing sleeping accommodation for 4 people and 2 bathrooms. A great retreat by the sea with the shops and eateries only moments away.